In this month in 1786, famed frontiersman Davy Crockett was born in Tennessee. Crockett was an explorer who understood how to get by with just his rifle and an understanding of how to live on the land. And the self-storage industry began with a similar “wild west” flair, as the product line was completely unknown in the 1960s and the early pioneers had to basically invent the demand and marketing of something which had never existed before. If you read early books on self-storage, you can see that it was a “learn as you go” operation, because nobody had even written the playbook at that point. While it’s a multi-billion dollar industry today, its roots were as hardscrabble and primitive as Crockett’s early campsites. It’s amazing how the industry went from real estate unknown to financial behemoth in around a half-a-century. And like Crockett, the early pioneers of storage will always have a place in the history books – although not the ones you read in high school. 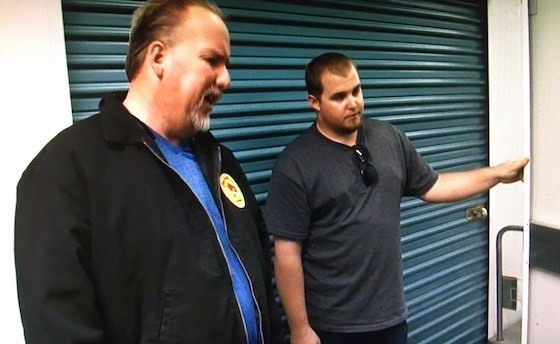 We’ve all seen Storage Wars and know how the process works when a storage unit is abandoned by the renter. However, many people do not realize that improperly entering and auctioning these units can be a total litigation disaster for the facility owner, and should never be done casually. Here are some steps to help ensure that you do not do any wrongful sales of unpaid storage units. One problem that many storage owners share is the failure to create procedural manuals for their business. These should be easy to read and use, and help employees to remember the correct steps and chronology of those steps. If you do not have a procedure in place for what happens when the tenant stops paying rent, then you need to create one ASAP. And make sure that you are 100% sure that you have this properly mapped out. In the abandonment process in most states, it’s your duty to give your best effort to locate the owner of the items inside the unit. You cannot just send a letter in a half-hearted fashion to the address on the contract and expect that to serve as giving it your best effort. You need to spend a few minutes of research to see if you can find a better address on-line and/or to consult the file and make sure that you were not given a forwarding address or other contact information. This goes back to the creation and adherence to systems. Many owners fail to realize that if you accept partial payments, it may substantially alter your rights to collect. Learn the laws of your state and, once you have the system in place for collections, never deviate from it. It’s kind of like when people ask Henry Ford if they could get a bright color on a Model T Ford and he said “you can have any color you want as long as it’s black”. You cannot customize on your collections system – it has to be one-size fits all. Double and triple check the files pertaining to a sale. Ensure that you have a signed and executed lease with last known address and that all notices were mailed to that address. The old adage is “better safe than sorry”. It’s too late to undo your mistake after the buyer at auction has driven off with the contents of the unit. So make 100% sure that you have done everything perfectly before you even think about having the auction. One minor mistake, in the hands of the right attorney, can put you in the wrong. The legal system in America works off the concept of “paper trail”. That means you need to retain all the “paper” that evidenced what you did. There’s an old rule of law that “the person with the bigger paper trail wins” and that should always be you. With a “paper trail” it’s just a matter of “he said/she said” and that’s a very weak position to be in as a storage owner. Better than all of the above tips is to never let the auction sale happen. Get your tenants to pay the rent every month, and seek out those that don’t and convince them to pay the rent rather than to lose their stuff. Being proactive is much more profitable, as you’d rather have a customer for life than a one-time auction of their contents. The auctioneers will hate you, but your budgets will love you. 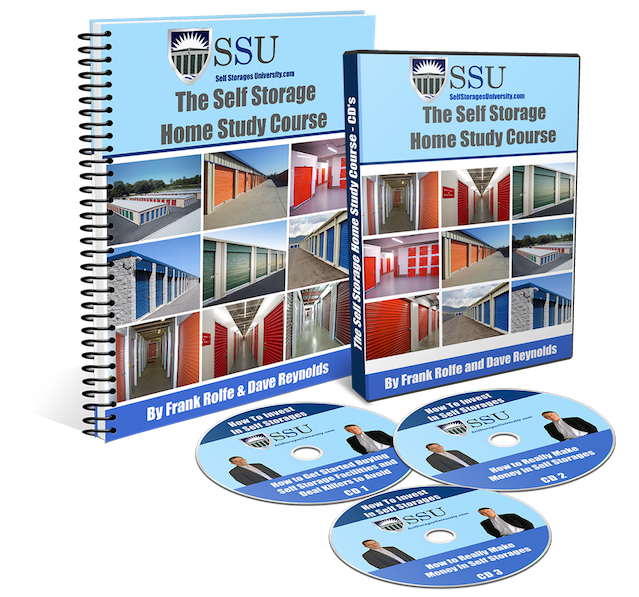 Selling the contents of an unpaid and abandoned storage unit is very dangerous work. You may potentially not even have insurance for the outcome of doing it incorrectly. Play it safe. In 20 years of owning and operating real estate, we have never had to pay a penny out of our own pocket due to a lawsuit. However, we can only say that because we have always carried the right insurance – and plenty of it. 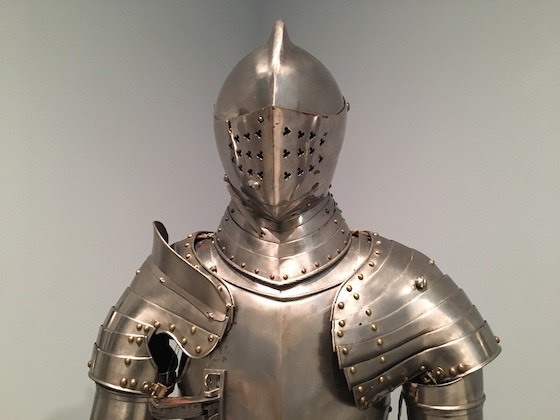 So what are the most common claims and how can you protect yourself from them? This is the type of claim where someone trips over a crack in the sidewalk (or something similar). The amount of the claim is typically small – probably around $4,000 – and is often based on medical expense and “pain & suffering”. This is protected by having liability insurance. This claim is for the destruction of the tenant’s property that they left in their unit. These claims can be huge, based on the type of items that were stored (think about antiques, for example). There is no protection from this claim unless you carry “garage keeper’s liability coverage” which is something that many owners fail to recognize that they don’t have. You must carry this policy. This type of claim is for the loss of the physical structure – or damage to the structure – which is the self-storage facility itself. You can protect yourself from this by having standard property insurance with limits that allow for re-building of the damage. This is the claim that results from the manager doing something they should not have done, whether it’s embezzling rent or threatening a tenant. The solution here is Employment Practices Liability Insurance, also known as EPLI. Believe it or not, it was a 1950’s Mercedes that was valued at $500,000 and hit by the gate when it closed incorrectly. The damage to the car was $100,000. It just goes to show that the biggest risks are those you never think of – and that’s why you need to brainstorm with your agent to make sure that you have every possible event covered. America is a very litigious place. We have more lawyers than all the other countries combined. The only solution is to carry the correct insurance and plenty of it. What’s better than buying a self-storage facility? Buying it for zero-down. Although it sounds impossible, many self-storage properties trade hands each year for a zero down-payment. How does this work? These deals always start with a highly motivated seller. Otherwise, why would they sell for zero down? This motivation might come from health reasons, or it might come from the fact that the facility is not functioning properly and could even be running negative each month. But the initial building block is a seller who is flexible and has a sense of urgency. The second ingredient is “bonding”, which is the act of the seller liking and respecting the buyer. In a zero-down deal, this trust is essential, and can only be gained by the seller and buyer spending time together and getting comfortable with each other. Zero-down deals typically emanate from those situations where there are few competitive buyers. For this to occur, the property must often be in turmoil with either high vacancy, or poor collections, or some type of physical defect that is a total turn-off for most buyers. This scares the seller into accepting the fact that they will have to really stretch to get a deal done. Zero-down deals revolve around the buyer coming up with a plan to take the property from its current sorry situation to a reasonable standard, and thereby fixing the seller’s problem of illiquidity or negative cash flow. The plan must be reasonable and attainable to get the seller’s backing. You cannot do zero-down deals unless the seller carries the financing – no banks do this type of thing. Banks want 20% or 30% down, not 2% or 3%. The good news is that this is probably one of the best times in American history to obtain seller financing, fueled by the ridiculously low interest rates created by “quantitative easing” after the Great Recession began in 2007. When you pay a seller a 4% interest rate, that is often 4 times more than a CD pays out. Now you have to convince the seller that you want to plow your down-payment money into fixing the property, rather than a down at closing. The reasoning may be that you need to do structural improvements, or greater marketing, or just have a cushion to handle months of potential negative cash flow. A reasonable, motivated seller will often see your conservatism as a good thing – a sign that you are smart and going to get your plan accomplished. This can be the hardest part or the easiest part, based on the type of property and what the problem is. The best of these issues to fix cheaply is a horrible occupancy that is resulting in a negative cash flow. Mom & pop may think it will take years to solve, but you whip out your internet skills and do the job in a matter of months. Zero-down deals are considered the ultimate in real estate, and they are attainable in the self-storage sector, given the right raw material. They are a win/win solution to a seller’s problem and a buyer’s desire for a high level of opportunity. To Buy Or To Build? We get asked frequently whether it’s better to buy an existing self-storage facility, or to build one from scratch. We believe that you are normally far better off buying an existing property than building a new one. There are many reasons for this. When you build a self-storage facility, you face a huge amount of unknown issues, such as if the contractor will hit the budget, and if the city will give the final product green tag. Sam Zell, who has been the largest owner of apartments, office and mobile home parks in the U.S., learned early in his career to avoid development, after he built an apartment complex and nearly lost his shirt in missed budgets and deadlines. When you buy an existing property, all this risk is taken off the table. After the Great Depression began in 1929, Conrad Hilton declared “never build a building, just wait for a recession and buy it for a penny on the dollar”. He’s still correct nearly 90 years later. If you buy at cyclical lows, you can typically buy most any real estate sector at a fraction of construction cost. While building new has a base minimum cost regardless of the economic climate, buying an existing property offers the potential to make a real score. There’s no question that buying an existing self-storage facility is much easier to finance than building one. That’s because the bank has much greater confidence when they are banking on an established business that they can tangibly look at and already has cash flow. Getting debt on a new property to be built requires a bank to take a much greater leap of faith. 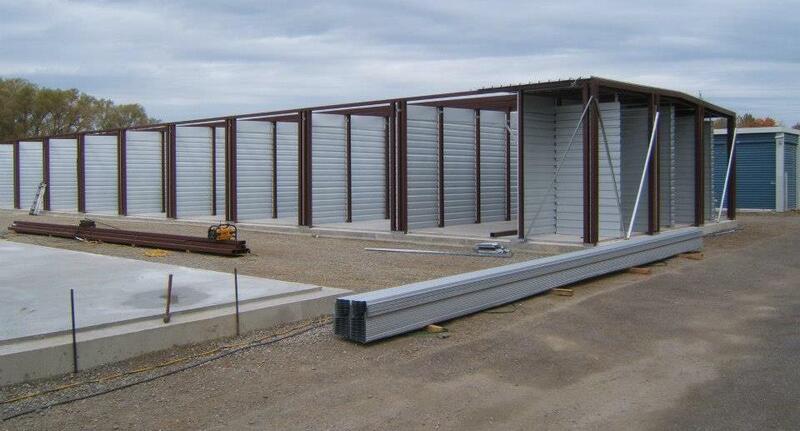 It is almost always smarter to buy an existing self-storage facility over building one from scratch. While building things can give you a sense of accomplishment, buying something for a penny on the dollar is an even better feeling. U-Haul is a common fixture at many self-storage facilities, so its history may be of interest to you. The company began In 1945 when Leonard Shoen co-founded U-Haul with his wife, Anna Mary Carty, in the town of Ridgefield, Washington. It started with an initial investment of $5,000. Shoen began building rental trailers and splitting the fees for their use with gas station owners who he franchised as agents. He developed one-way rentals and enlisted investors as partners in each trailer, which allowed him to scale up much faster. By 1955 – a mere decade after it all began – there were more than 10,000 U-Haul trailers on the road. Today there are more than 18,000 U-Haul employees and over $4 billion in annual revenue.